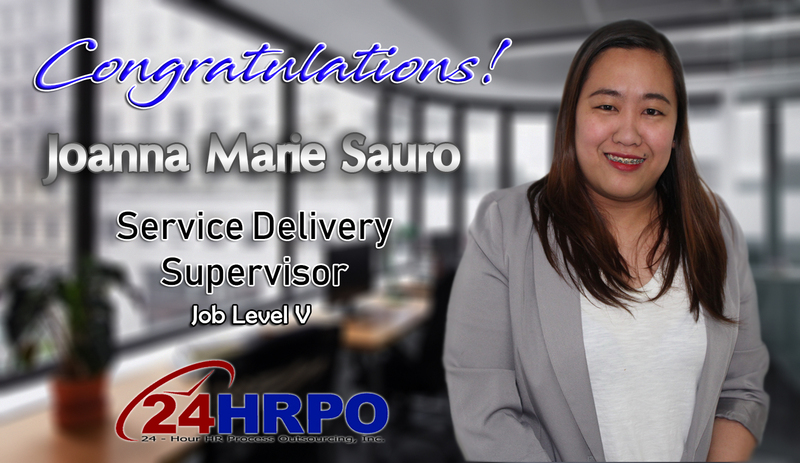 24HRPO is excited to announce the appointment of Joanna Marie Sauro as a Service Delivery Supervisor. JM is one of our tenured recruiters having started in 2013. She is the go-to-person when it comes to very challenging IT requisitions. As the new Service Delivery Supervisor, she is assigned to lead a group of 8 IT recruiters working on different clients in the information technology field. Let us all congratulate JM for her promotion!